I was on my way to the river in the dead of winter. But it was easy to forget how cold it was outside with my heat on full blast and the seat warmer toasting my fleece-lined buns. And then it started snowing. Big, heavy snowflakes dropped from the sky with an almost audible ‘thud’ on to my windshield as we crested the mountain pass and made our way back down toward the river gorge. This was the kind of weather that would drive most people indoors, in front of the television, and under a blanket until further notice. The thought made me chuckle. 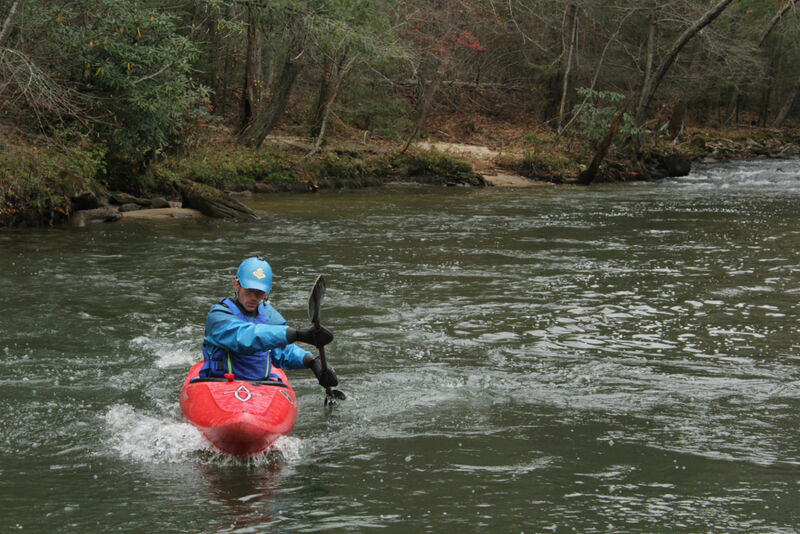 Bad weather seems to be synonymous with great kayaking, so there I was. The day ended up being one I still think of fondly: intimidatingly cold, icicles frozen in place on my helmet and a hard sheet of ice encasing my PFD. 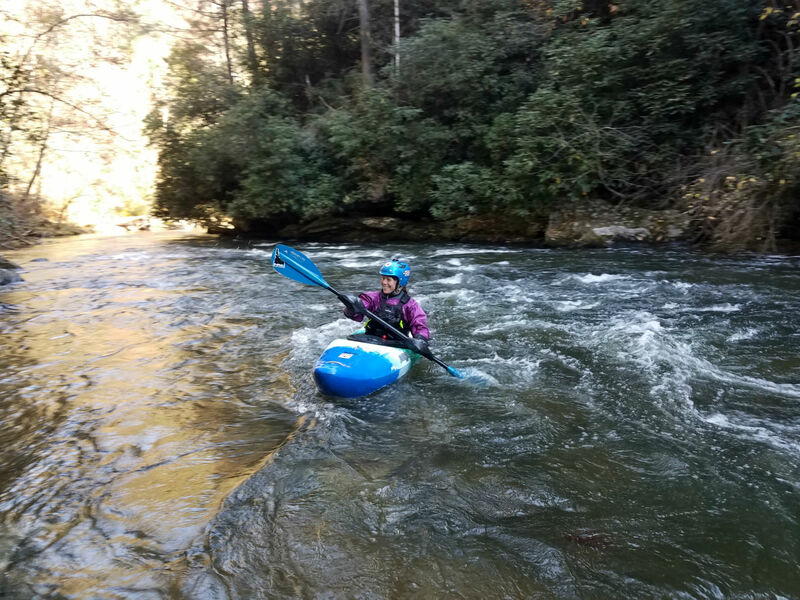 We didn’t stop frequently, but when we did, my paddling buddy was quick to whip out a hot thermos of water for a quick warm up on shore before continuing on. We admired the peace and quiet of the river in winter on the way down, and when we made it to the takeout, we hastily changed into warm layers and down jackets with the heat on blast once again. Somewhere deep within the beginner boater’s learning curve comes weird, niche kayaking gear that only comes out for very specific occasions. 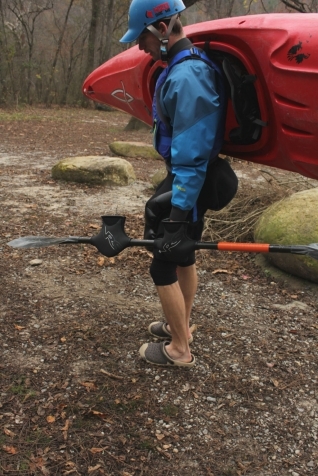 The awkward scuba-esque head covering (storm hoods), or the goofy and even more elusive dry-top-connected-to-spray-skirt ‘dry deck.’ And then there are the aggravatingly floppy hand warmers someone decided to dub ‘pogies’ that seem utterly inadequate until you actually try paddling in the winter without them. As a newer boater, I tried hard to keep my paddling kit as simple and distraction-free as possible, but discovering the quiet magic of kayaking in the winter demanded otherwise. 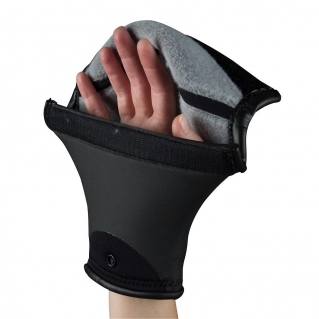 While it took me a while to buy-in to the effectiveness—and eventual greater enjoyment—of stuffing my hands into shapeless neoprene attached to my paddle, I did ultimately concede that using pogies was a better alternative to gloves or mitts. They allowed me to keep the skin-to-paddle contact I so preferred as opposed to having a material barrier between my paddle and my hands. I looked at these strange affixes as a sort of necessary evil to be able to enjoy paddling year-round. When I first got my hands on a pair of NRS Mamba Pogies, I was forced to second-guess my particular aversion to them. The material, shape, and sturdiness looked much more appealing than anything I’d seen before—I had to admit, I was excited to put these to the test. Fleece lined and constructed with 5mm neoprene (read: heavy enough to provide structure), I don’t have to compromise between warmth and contact with my paddle when I hit the water on those cold and snowy days. Gone is my awkward eddy dance of putting on one pogie and then pulling the other on with my teeth. The Mamba’s rigidity and shorter entry sleeve allow me to simply push my hands through after the pogies are attached to my paddle. The addition of the neoprene cuff at the opening dulls the hair-raising drip of cold water down the wrist and on to the hands, and traps the toasty heat inside the pogies for the duration of my paddle. Paddling with pogies always takes a bit of an adjustment. The Mambas move along the paddle shaft much less than I’m used, which has its pros: less unintentional shifting while paddling. But it’s also a con. 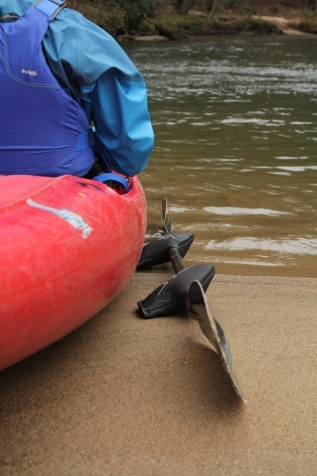 The small, neoprene gasket that seals the pogies around the paddle shaft tends to stick—as opposed to slip—with any attempted rotation of the pogies on the paddle itself, meaning they’re harder to shift when you intentionally want them to move while paddling. Breaking in the pogies on easier water and spending some time adjusting to normal ranges of motion for paddle strokes and rolling helped to familiarize myself with the nuance of this new design. My smaller hands fit inside the pogies comfortably, and I like to use them as designed with the hook and loop attachment points facing down and the logo facing up, although I’ve noticed a few paddlers with larger hands using the pogies upside down to avoid friction along the seam. 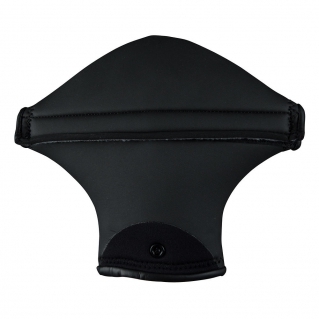 By switching the seam to face up, the attachment points don’t rub against your fingers or knuckles. When I do break out the pogies for those days of self-imposed suffering in desperately cold weather, my hands will be the first to break a sweat and the last to go painfully numb from playing too long in icy water. Put simply, pogies are imperative for anyone hoping to spend more time shredding and less time cupping warm breath into their hands. On days that are chilly but not cold enough to warrant wearing the pogies the whole day, I like to keep them stashed in my boat to warm up in an eddy or during a lunch break. When I’m all done testing how many ice cream headaches is enough for the day, I keep my pogies handy for the hike out; keeping one hand inside a pogie that’s still attached to my paddle while hiking is one of my favorite hacks, even if it only keeps half of my hands toasty. The only downside? You might have to save your paddle twirls for warmer days.